Retired judge Robert E. Kinney, a member of the six-member Wisconsin Ethics Commission, resigned this morning citing a lack of commitment on the part of some of the Commissioners to upholding open and ethical state government, excessive secrecy, and a lack of transparency in the proceedings of the commission. It is very sad and unfortunate for Wisconsin to be losing Kinney's voice of integrity and impartiality, but not surprising. 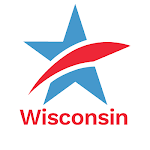 The partisan Ethics Commission, which commenced activity this past July – replacing the respected, effective non-partisan Government Accountability Board which was destroyed by the Republican-controlled Wisconsin Legislature and Governor Scott Walker late in 2015 – was designed to fail. Incredibly, in August, members of the Commission defeated Kinney's proposal that Ethics Commissioners should be prohibited from making campaign contributions to the very candidates and elected officials they are charged with overseeing with matters related to campaign finance law. Kinney's disillusionment has grown since then, leading to his recent unfortunate but principled resignation. 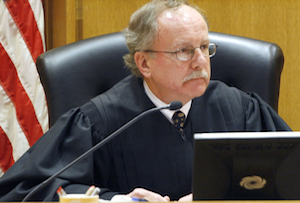 Wisconsin needs more upstanding public servants like Judge Kinney, not less. This should serve as a stark reminder to citizens about the deteriorating state of ethical, honest and transparent practices in Wisconsin's state government over the past number of years – and the need to halt and reverse this trend before matters become irreparable and beyond redemption. Judge Kinney's resignation statement should be read by everyone who cares about good, honest and accountable state government and ethics. Ethics Commissioner Robert Kinney's Resignation Underscores Failings of the Newly-Partisan State Agency Tweet this!